With the Thanksgiving holiday right around the corner, it’s important that we show those around us how much we appreciate all of their efforts. So in keeping with that theme, we thought now would be the perfect opportunity to explain why preschool teachers are so important, and why we are especially thankful to have the amazing teachers who run our Lake Worth preschool programs on a daily basis. Keep reading to learn why we love preschool teachers, and contact us today if you’d like your child to be apart of our amazing preschool programs here at our Lake Worth children’s learning center. 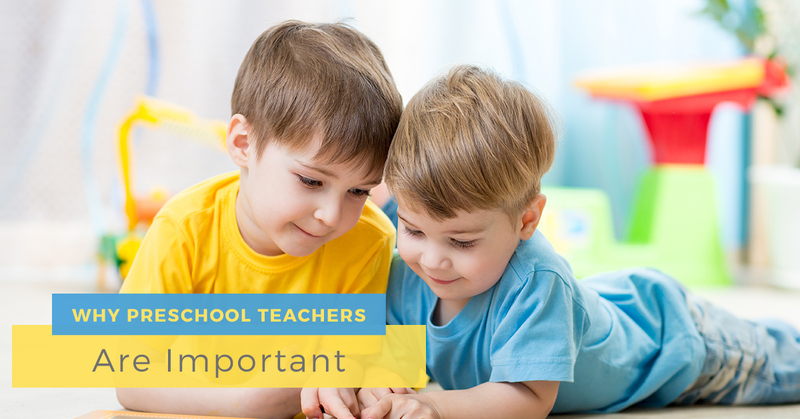 The first reason why preschool teachers are so important is because of their tender, caring hearts. Having a preschool teacher who truly cares about a child’s learning and development can make all the difference during that child’s early years. Preschool teachers often play a pivotal role in helping a child to formulate learning behaviors, which can be critical to their future success during their first few years of school. The preschool teachers at Kidstown Learning Center are passionate about working with children, have a positive and patient demeanor, and always put the needs of each individual child ahead of anything else. That’s just one reason why we love them! Of course, one of the most important aspects of preschool is introducing our children to how school actually works. That’s where the dedicated preschool teachers come in. Through a variety of fun, challenging, and encouraging tactics, preschool teachers use games, storytelling, and activities to help our children learn important skills like vocabulary, math, and even social skills. Without the incredible work of preschool teachers, where would our children be? As parents, it would be nice if we could be with our kids through every step, word, and learning experience. However, with work and other obligations, it’s not always possible. That’s what preschool programs are for. Our loving and attentive preschool teachers are there to provide for your child in those moments when you simply can’t be, allowing them to continue to receive the attention, skills, and knowledge they need in order to grow and develop for future success. All month, and really all year, we want to encourage you to thank your child’s preschool teacher! It’s an important, and not always easy, job that they perform with a smile on their face every day. Our Lake Worth preschool programs wouldn’t be the same without the kind, caring, and professional teachers on our staff. As part of our November activities, we’d like to encourage you to help your child with writing a “Thank You,” note to each one of their preschool teachers, aides, and family members in order to keep up with our gratitude theme for the month. If you’re interested in learning about the great teachers and preschool programs here at Kidstown Learning Center, just give us a call! We’re always here to help and answer your question. Thank you, and have a happy Thanksgiving.